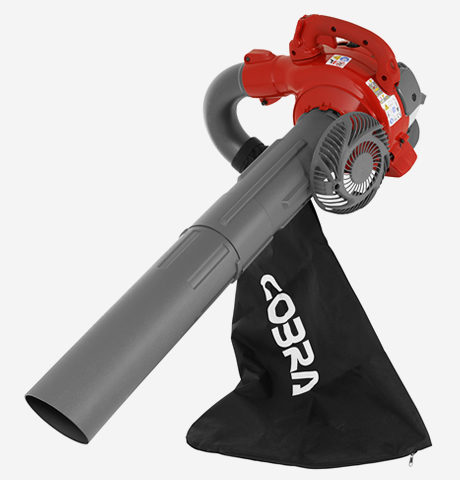 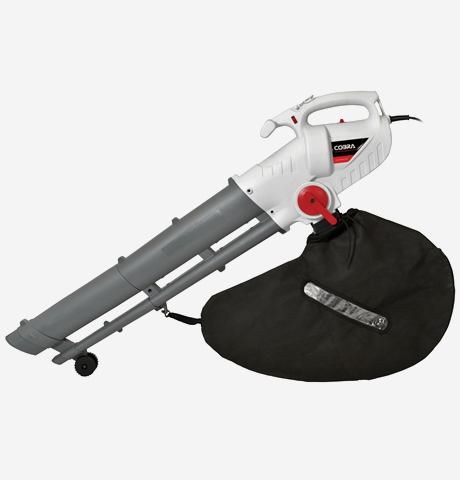 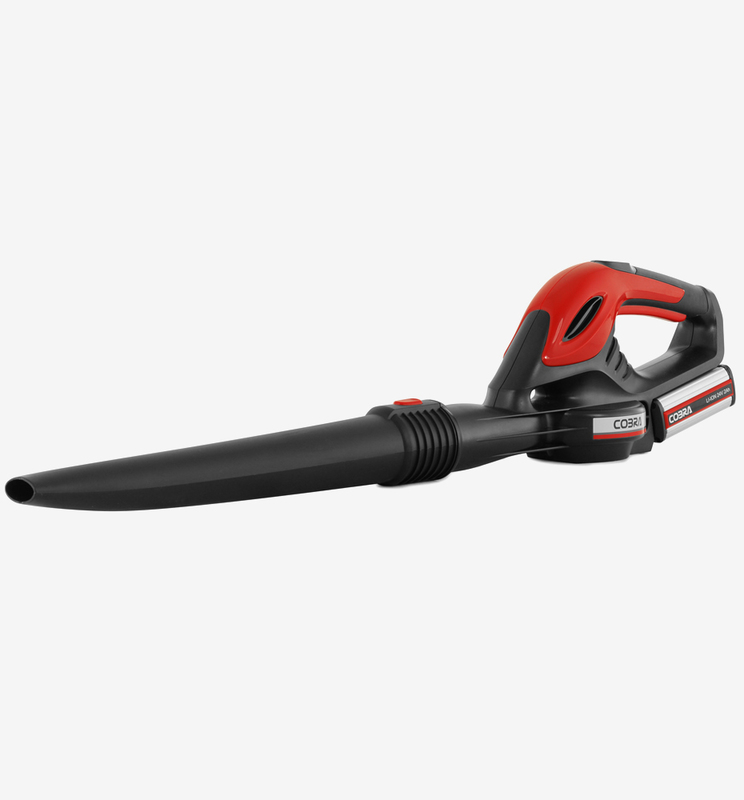 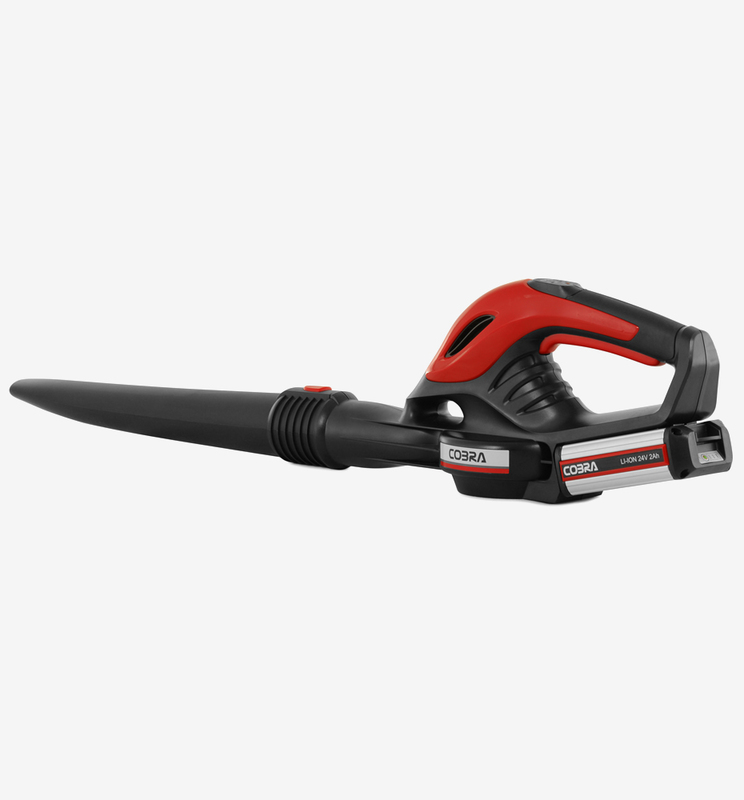 The Cobra BV6524V cordless blower is powered by a 24v Lithium-ion battery. 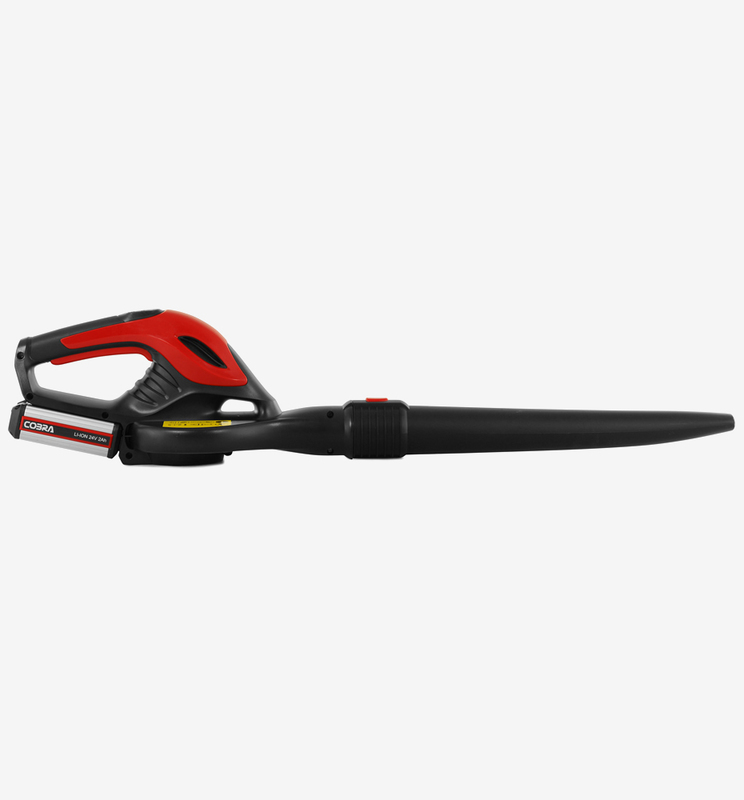 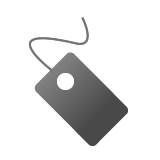 This model has turbo and eco modes and is extremely lightweight. 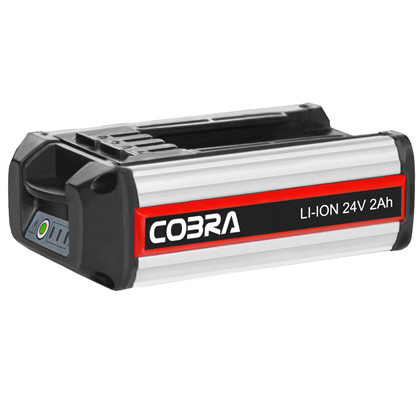 Compared with traditional battery technology, Cobra Lithium-ion batteries charge faster, last longer,and have a higher power density for more battery life in a lighter package. 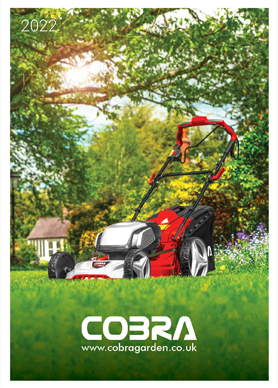 Cobra's cordless battery technology opens the door to countless uses, even in places with no electricity. 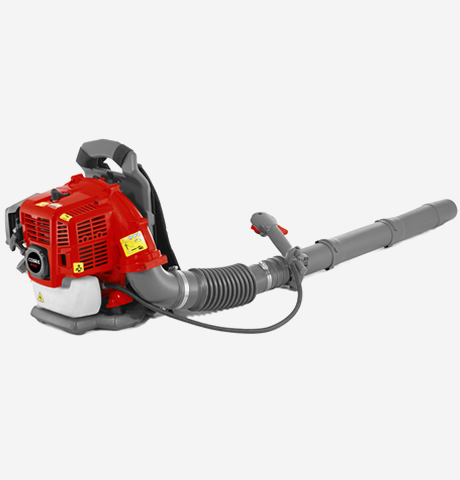 Eco mode is quieter and blows for a longer period of time. 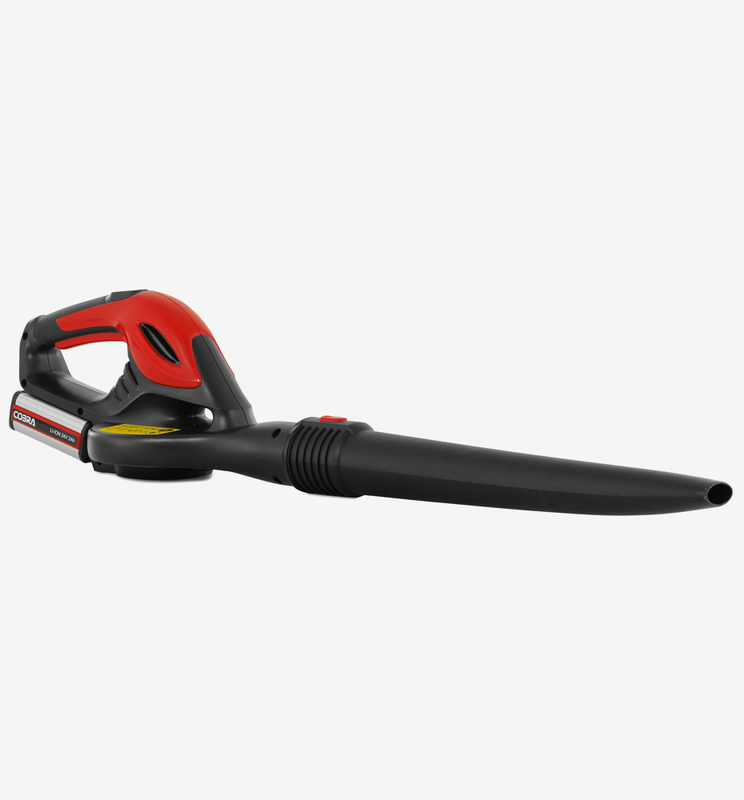 Turbo mode is more powerful with a stronger air-thoughput. 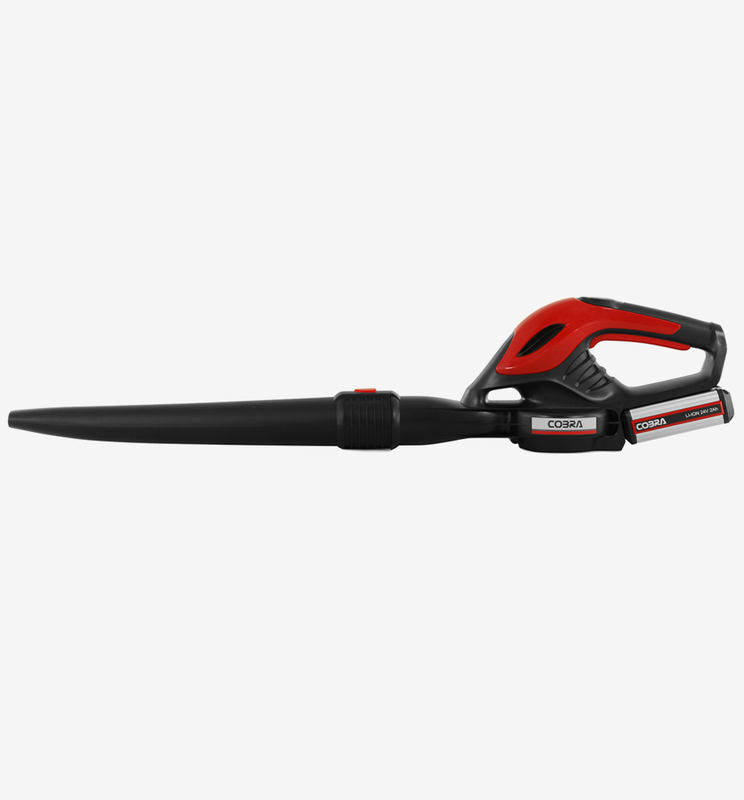 The Cobra BV6524V cordless blower has been designed to make clearing your garden a simple and effortless task. 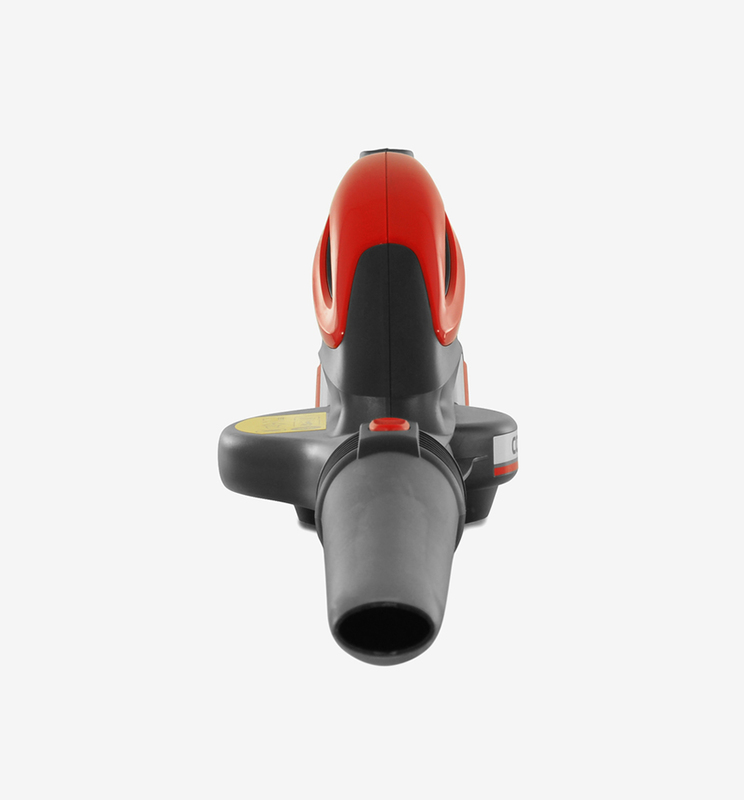 The ergonomically positioned controls not only makes operator use more comfortable, but gives greater manoeuvrability. 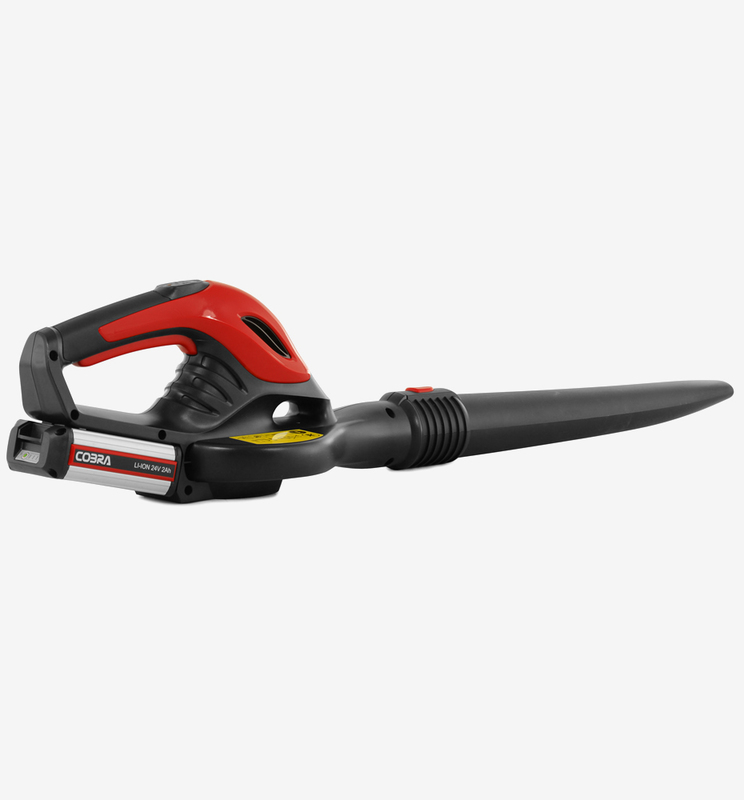 you maintain your garden with the minimum of effort.